For two months the hot summer of 1966, the Sierra de la Demanda became part of the United States. 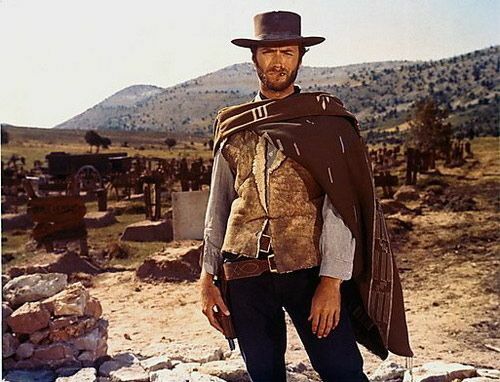 This peaceful and temporary annexation was a due to the Italian director Sergio Leone, who found in the Peña de Villanueva and the Valley of the Arlanza the appropriate scenarios to shoot the third film of a series initially known as the “dollars trilogy”. 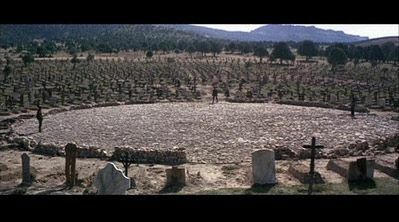 The film Leone shot in the Arlanza juniper wood was 'The Good, the Bad and the Ugly', that now figures in the history of cinema as representative work in the so-called spaghetti western. The picture above is of the final scene of the cemetery. In the photo on the bottom, you can see Clint Eastwood in the Contreras valley. In this link you have the accurate information to make a tour of all the scenes of the film.